Exclusive to Patinkas, our Divinity range of single-strand gemstone bracelets are all handcrafted by healers and made using a mixture of the finest gemstones, pearls and sterling silver beads from around the world. 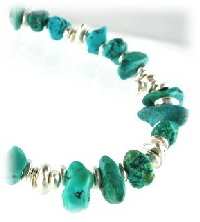 The bracelets are then finished using 925 Sterling Silver clasps or toggles. Each one comes boxed with a certificate of authenticity and craftsmanship, signed by the healer who made it.